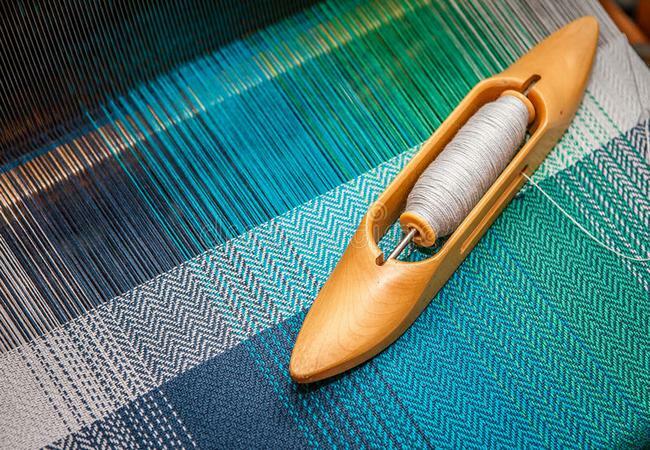 Weaving is the process of interlacement between the weft and warp in fabric according to a design of fabric. This process is done by using weaving machine or loom machine. This article has presented all the parts of loom machine or weaving machine with their functions. This part is related to the shedding mechanism. 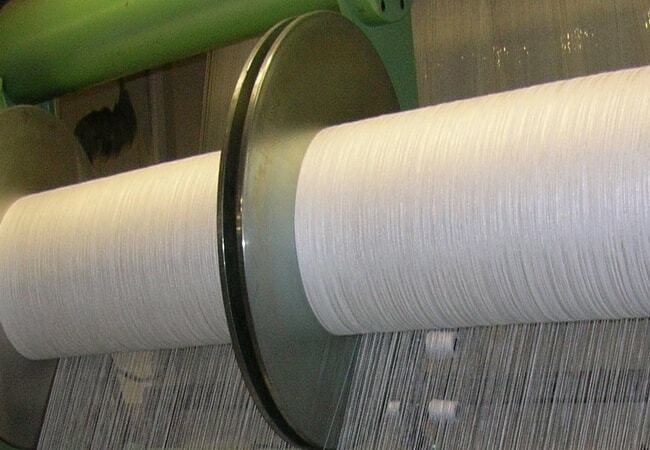 In textile weaving industry, heald shaft is produced by using metal such as aluminium or wood. It carries a number of heald wires through which the ends of the warp sheet pass. The heald shafts are also termed as ‘heald staves’ or ‘heald frames’. The total no. 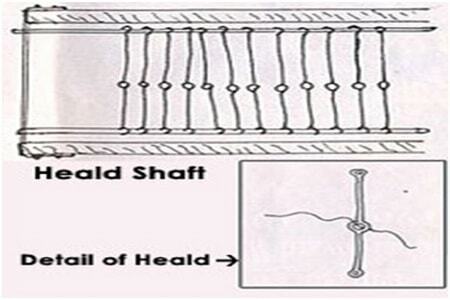 of heald shafts varies according to the warp repeat of the weave. It is decided by the drafting plan of a weave during weaving. Heald shaft helps in weaving shed formation. 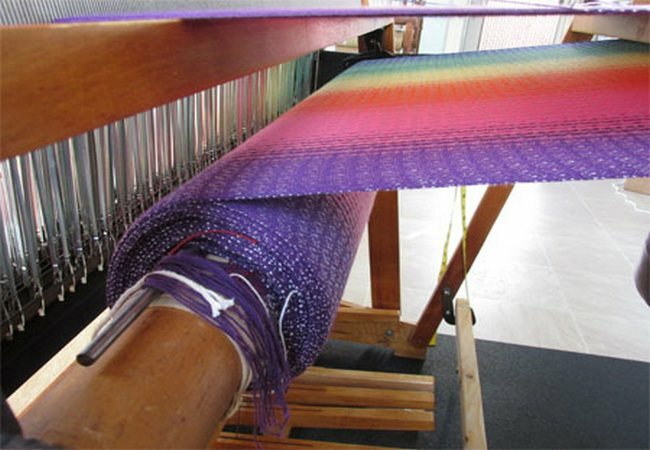 It also maintains the sequence or order of the warp threads. Heald shaft determines the warp thread density in a fabric, i.e. the numbers of heald wires per inch determine the warp thread density per inch. It apprehends the order of lowering or lifting the necessary no. of healds for a pick. It helps in forming the design or pattern in a fabric. 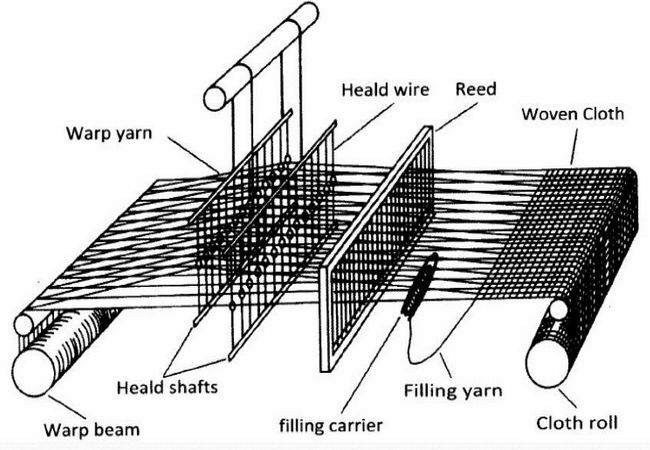 Heald shaft is useful in identifying broken warp threads in weaving. It is made of wood and consists of the sley race board or sley race, reed cap and metal swords carried at either ends. The sley mechanism swings to and fro. Sley is responsible for pushing the last pick of weft to the fell of the cloth by means of the beat up motion during. When moving towards the fell of the cloth the sley moves faster and moves slower when moving backwards. This unequal movement is termed as ‘eccentricity of the sley’. In order to perform the beat up and also to give sufficient time for passage of shuttle to pass through the warp shed sley is needed in textile weaving. In textile weaving, shuttle is a weft carrier and helps in interlacement of the weft with the warp threads to form fabric. The shuttle is made of wood which passes from one end of the loom to the other. Shuttle travels along the wooden sley race and passes between the top and bottom layers of the warp sheet. After passing through the warp shed, shuttle enters a shuttle box fitted at either ends of the loom. It should be noted here that, a shuttle normally weighs about 0.45kgs. Shuttle box is the housing for the shuttle and is made of wood. It has a picker and a spindle. It may also accommodate the picker without spindle. The top and side of the shuttle box unto the sley race are open. The shuttle dwells inside the box for the intermediate period between two successive picks. Reed is a metallic comb which is fixed to the sley with a reed cap. In textile, shuttle is made of a no. of wires and the gap between wires is termed as dents. The count of the reed is decided by the no. of dents in two inches. There are different types of reed in textile weaving such as ordinary reed, expanding reed, gauze reed, V reed etc. Reed pushes the lastly laid pick of weft to the cloth fell. It determines the fineness of the cloth in conjunction with the healds. 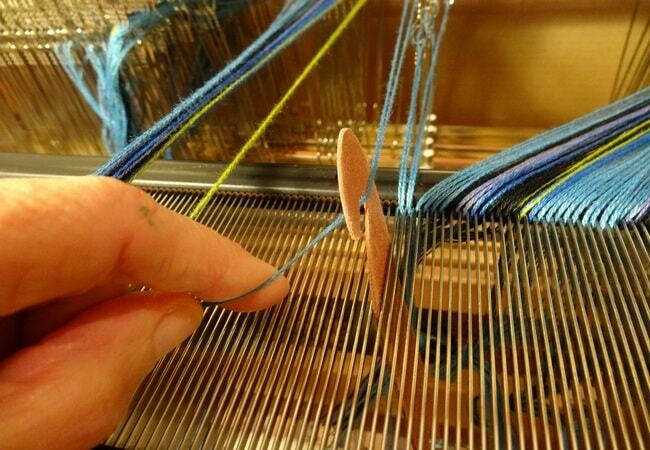 Reed acts as a guide to the shuttle which passes from one end of the loom to the other. It helps to maintain the position of the warp threads. Reed determines the openness or closeness of the fabric. Picker is a piece made either of synthetic material or leather. Picker may be placed on a grooves or spindle in the shuttle box. Picker is used to drive the shuttle from one box to another. While entering the box it also sustains the force of the shuttle. Warp beam is also known as the weaver’s beam. It is fixed at the back of the loom. The warp sheet is wounded on to the warp beam. The length of warp in the beam may be more than a thousand meters. Back Beam is also known as the back rest. It is placed above the weaver’s beam. Back Beam may be of the floating or fixed type. The back rest merely acts as a guide to the warp sheet coming from the weaver’s beam in the first case. Back beam acts both as a sensor and as a guide for sensing the warp tension in the second case. Breast beam is also termed as the front rest. At the front of the loom, it is placed above the cloth roller and acts as a guide for the cloth being wound on to the cloth roller. It maintains proper tension to facilitate weaving. Cloth beam is also called as the cloth roller. The woven fabric is wounded on to this roller. Cloth beam roller is placed below the front rest. It is also termed as the cloth roller. The woven fabric is wounded on to this roller. This roller is placed below the front rest.